1. It’s hard to find a place in the world where pets would be so much surrounded with attention and care as they are in the UK. 2. What you may want A leash, made from webbing or leather-based. Hot spots on dogs are one of the most irritating skin conditions affecting dogs. Also known as acral dermatitis, lick granules or acute moist dermatitis, the condition usually manifests itself as a firm, thickened, raised, and often ulcerated skin grazes. The skin lesions are usually an aftermath of regular licking and chewing by the dog. For a dog, hot spots are usually very uncomfortable to deal with considering that the sores are usually painful and if not detected and treated with the utmost urgency, they may get infected and smelly. 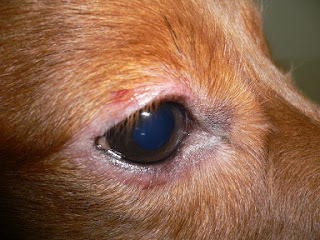 The acute moist dermatitis is a common skin condition which usually manifests in regions around the rump area, although sometimes it has been found to also occur on other regions of the dog’s body. In addition, it is important to know that the condition does not affect a specific breed. However, it has been found that its prevalence is usually high among breeds with dense, thick, and long coats. There are a lot of things that can cause of hot spots on dogs. However, the root cause of the condition has been found to have a behavioral origin. When your dog is suffering from this condition, the first thing you will notice is that he or she tends to be licking or rather scratching the same spot repeatedly. As a result, hair may start to fall out, and depending on the thickness of the dog’s fur, you might start to take notice of red spots exuding pus. Being a common condition with thick coated dogs, its cause is usually linked to the entrapment of moisture within the thick, long coats. The trapped moisture leads to bacterial growth which overwhelms the dog’s body natural immune system and attacks the skin. Such kind of infection is commonly referred to as pyotraumatic dermatitis. Other causes of the skin condition are associated with allergies. When your dog is infected by this skin condition you need not to worry, as the infection is treatable. If you notice the above symptoms on your little guy’s skin, the first thing you need to do is to gently clip the hair around the infected spot. Next, you need to clean the area with soap and water and make sure not to leave the area moist afterwards, as this will favor the growth of bacteria. Depending on the degree of severity of the hot spots, it may require you to take the dog to a vet who will prescribe antibiotics and cortisone creams that have been known to treat the condition. You can also find over-the-counter remedies at sites like Dr. Rose's Remedies Keep in mind that when it comes to hot spots on dogs, it is important to address the underlying contributors in addition to the symptoms.